These towels are made of 100% cotton to pamper your hands with soft and fluffy material. They possess breathable characteristics which make them perfect for hands and body usage. It is hypoallergenic, agreeable to touch, and ideal for people with skin hyper-sensitivity. It's a generously sized 16 x 28 inches' hand towel which is extra absorbent and practical for quick drying, ample coverage, or comfortable lounging. 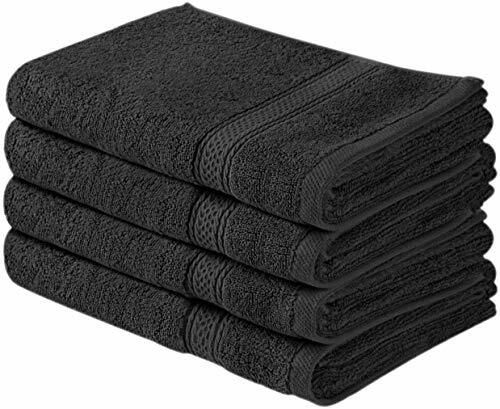 Its professionally hemmed edges are carefully crafted to enhance towel's quality and durability. The zero twist construction with the added combing process removes the shorter fibers, which helps in reducing shedding and fraying, while offering superior absorbency properties with a lightweight feeling. While bleaching softens towels, it also causes them to wear out faster. Always wash new towels before use. Excess dye, chemicals, etc., can still reside in factory produce towels. You may also use fabric softener on hand towels. If you have any questions about this product by Utopia Towels, contact us by completing and submitting the form below. If you are looking for a specif part number, please include it with your message.